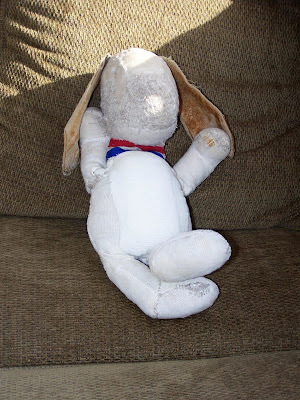 ~ THE LAZY VEGAN ~ HOME OF PACO & LUIGI AND FRIENDS: The First Prop. 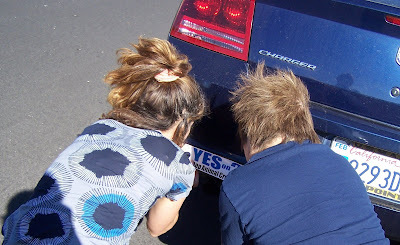 2 Bumper Stickers on the Cars! 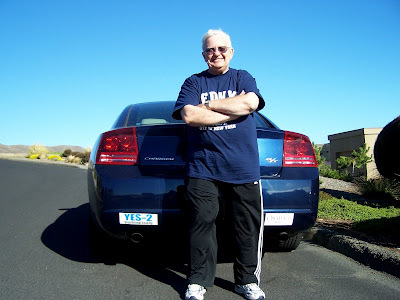 Dad in front of his car with the Yes on 2 bumper sticker on the left and the OBAMA '08 bumper sticker on the right! 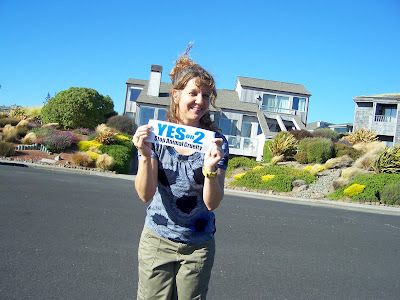 It was a very exciting moment out at the beach house...Dad had the great idea of putting on his "YES on Prop 2" bumper sticker! 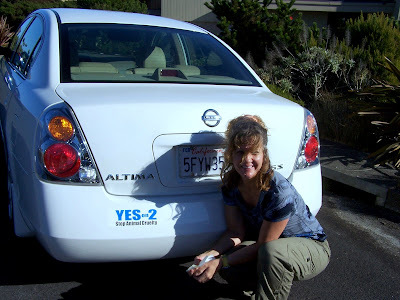 And then I followed suit...so now there are at least two cars in the area getting the message out before election day (well, Dad & Deb will be driving their car back to Southern California soon- so then there will be at least one car down there getting the message out!). I could put a bunch all over my car, but that might be a bit much. 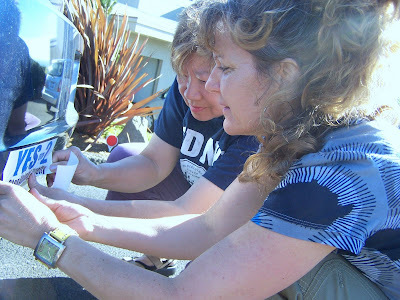 Deb helps with the placement. 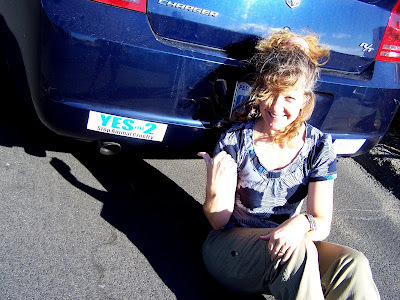 I'm just so glad that it made the ballot so we have bumper stickers! If Old Snoopy could vote, he would definitely vote YES for Prop 2! 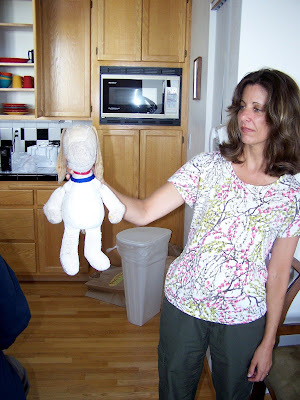 Patty and her dog of 37 years. 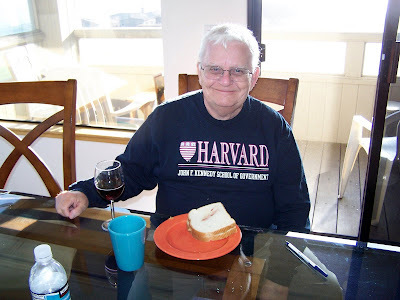 Dad enjoys a PB & J sandwich for dinner! 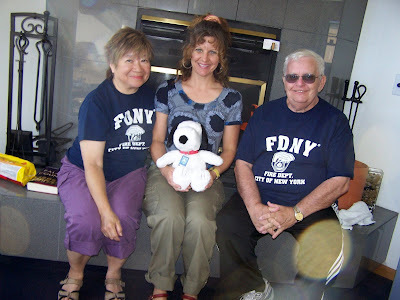 Deb, Diana and Dad with Diana's new Snoopy from Deb & Dad!